Sometimes help comes from unexpected places. My friend Mary Elizabeth Riddle has been in the hospital since last Thursday, where she has already had four surgeries on her left foot. She and her husband Wes run Roots Memphis, an urban farm and farm academy in Memphis. Mary spends most of her days doing manual labor in the fields, weather permitting. When she’s not out in the fields she’s in the classroom teaching small farm business entrepreneurship, planning and management, sustainable agriculture theory and practice, and small farm production skills. Last Thursday she was mowing grass and weeds around the farm to prepare for a presentation when she cut off her big toe and seriously injured her entire left foot. Early surgeries revealed the surgeon’s concerns about saving the remaining toes and even the ball of her foot. Skin graphs would also need to be done. Of course I began praying for Mary when Wes called from the hospital the day of the accident. I prayed to Jesus and the Mother of God and angels and whomever else came to mind. 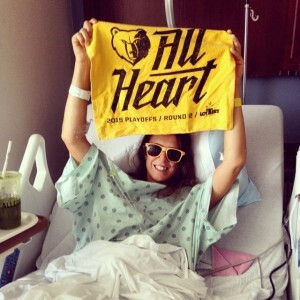 On my second visit to the hospital yesterday, Mary had just come out of her fourth surgery. There was finally some good news. The surgeon (who also happened to be one of my trauma surgeons two years ago following my car wreck) smiled as he explained that he was able to close the wound and that the other toes seemed to be hanging in there. (No pun intended.) I cried and hugged Mary and Wes as I heard the news. And then they showed me the icon. 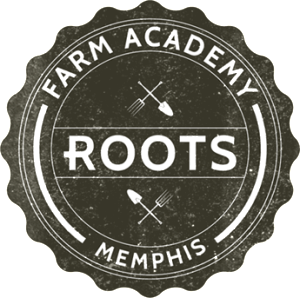 All students agree that, should they graduate, they want to be a part of a sustainable and ethical farmer’s cooperative of young and beginning farmers in the Memphis region based on shared values and love for people and planet. 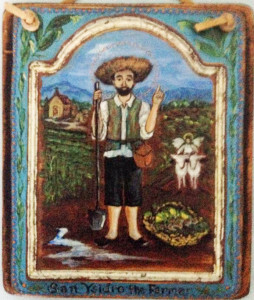 Meanwhile back in my icon corner—where I pray for Mary and others—there is no icon of Saint Isidore. 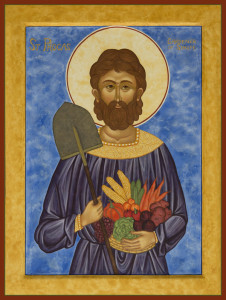 Or of Saint Phocas the Gardener (fourth century). I found his icon online. We have icons of Jesus, Mary, and several other saints and angels in our icon corner. I’m going to add prints of these new friends (Isidore and Phocas) so they can join the community of saints who help me in my often bumpy walk with God. I know they are helping Mary and Wes. I have been praying for Mary and her family ever since Charli told me about the accident. I’m sure they appreciate the prayer, Janet. Thanks for reading.